What Can I Do With All These Apples? and of course make a few batches of apple crisp (my favorite dessert)! 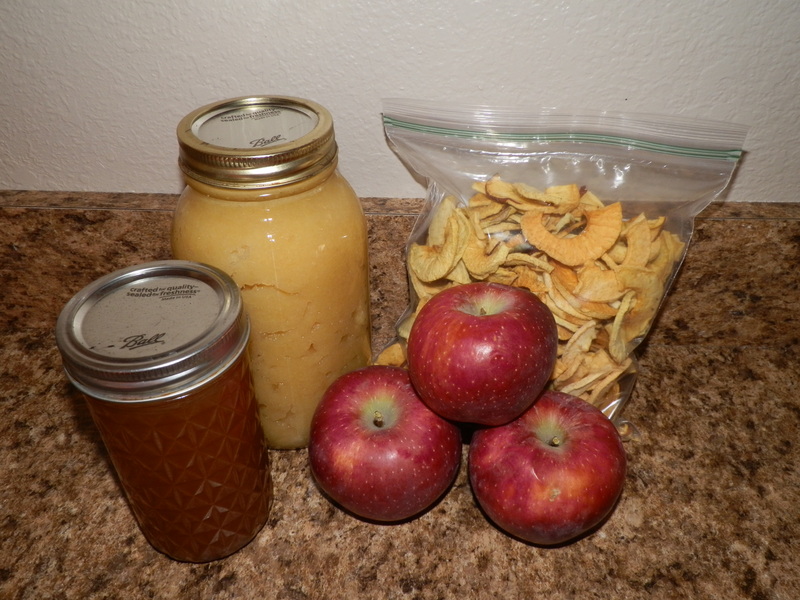 So far I have made apple jelly, apple sauce and dried apples. On the docket today: apple fruit roll (and maybe some more apple crisp..). One thing I have learned is if you have the right equipment, processing a batch of apples goes much smoother. Drying the apples is a cinch with the apple peeler/corer/ringer. I just run it through and then cut the ringed apple in half and put all the pieces on the drier. They make eating the apples fresh so fun too. Highly recommend getting one of those if you too own an apple tree. I have also used it to make the apple sauce and jelly. It easily takes off the peel and cores it for you, so why not? Making apple sauce is super easy too, just has a few more steps. I core and peel them using the handy tool, then I put them in a pot with just a small amount of water to prevent them from sticking. Don’t add too much as the water will cook out of the apples as they soften. Cook until they are soft- which was surprising to me how fast it was. Then you can run it through a mill or put them in a blender to get them to a smooth consistency. After its ready, I just add a tiny bit of lemon juice to make it so it wont go brown as quickly. I do not add any sugar or cinnamon but you can at this point flavor it if you would like. Just do it to taste. Bring back to a boil and hold at a boil while filling the hot jars for bottling. Process 10 minutes for half pints and 25 minutes for the full size jars. First you need to make the juice. Here is a time when having a juicer will make your life so much easier. That is how I made the juice I used. To make the jelly: put apple juice in a large pot and add sugar and lemon juice. stir until sugar is dissolved. Bring to a boil on high heat stirring constantly. Boil until jelly gets to the jelling point. To test this put a dab on a plate and place in the freezer for a few minutes. Pull it out of the freezer and push the glob of jelly with finger to see if it holds its form pretty well. Then it is ready to bottle. Process 10 minutes for half pints. Makes about 4 half pints. To make apple fruit leather or fruit rolls, I am just going to make apple sauce then pour the sauce on the sheet of the dehydrator and dry it. I am not going to add sugar to it. Hope this helps! Having an apple tree is lots of fun, but also allot of work. A great thing to have when building up your food storage. What to do with those tomatoes? Luckily there are tons of options! 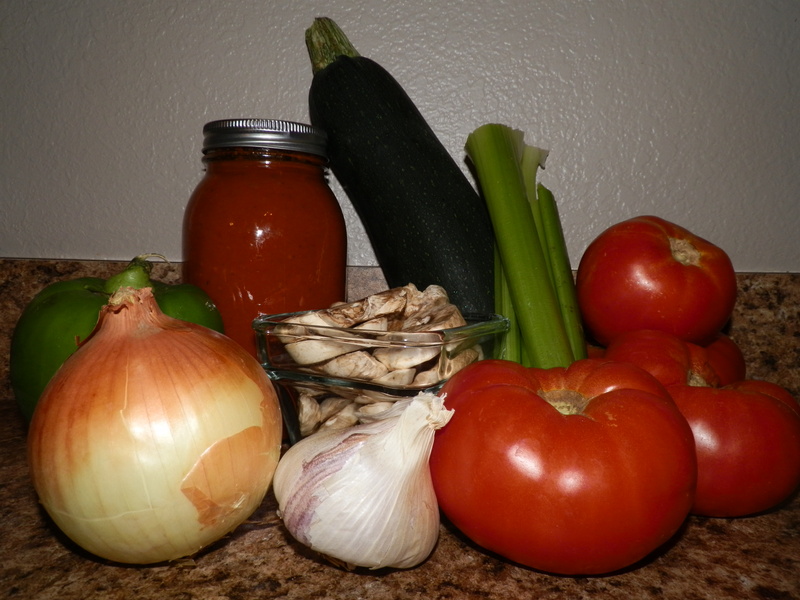 Salsa, tomato soup, just bottled tomatoes, and today we will tell you how to make your own delicious marinara sauce. This recipe is great because you can adjust it to what veggies you have ripe from your garden, or even to the veggies you like in marinara sauce. It takes quite a bit of tomatoes but not so much that you wont have enough to get this recipe made. I was taught this recipe by my wonderful sister in law. Thanks, sis! Cook for 4-6 hours on low heat, stirring occasionally. (I usually put in in the crock pot at this point and cook for 8 hours on low.) When the sauce has cooked, taste test it to see if you want more seasoning or salt and pepper. Once the sauce is to your liking, puree it until smooth, then cook it for 1 more hour. If you like it more chunky, then you could puree only part of it leaving some chunks. The longer it cooks down, the thicker it will get and the more store like consistency it will have. Then follow bottling, or freezing instructions. This usually will yield about 3- 3 1/2 quarts. Broccoli is one of those veggies that many people have a hard time loving. I have a hard time getting my family to eat much broccoli, however, they LOVE this broccoli soup. 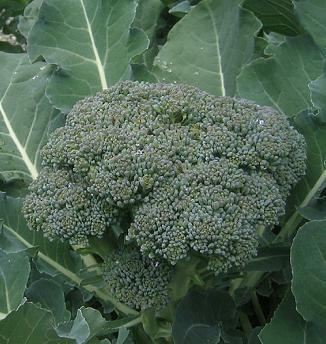 This can be make with broccoli you have grown in your garden, or some from the store. The other thing about this recipe is that it has no dairy in it. We have dairy allergies in my home and so cooking a cream of anything soup has been a problem in the past. This recipe uses cashews to make the cream. Even my husband who loves dairy thinks it tastes better than if it had regular cream. Hope you enjoy it as much as my family dose! Take the cashews and 1 cup water and put in a blender and blend until smooth. Then add the cashew mixture, salt and pepper. Remove from heat and take a portion (around half) out and pour into blender. Blend until smooth. Return blended portion to pot and serve immediately. Hope you enjoy this, and feel free to share any improvements or changes you made to it! Choose– chose what variety you like and want to grow in your garden. 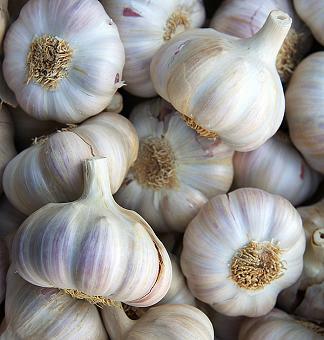 You can order them from companies that grow lots of garlic, or you can pick some up from a local gardening center. You would be amazed at the amount of varieties you have to choose from. Growing strawberries is not hard, they like to spread and perpetuate themselves, however, if left to themselves, the production and size of your strawberries will go down . 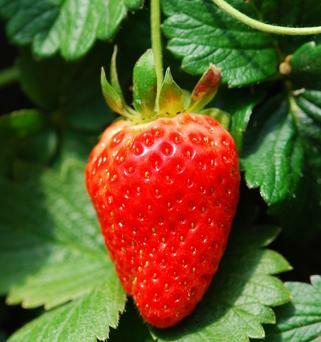 The key to a big strawberry is a big plant with nice big healthy leaves that it grows on. So how do you get that to happen? After the snow first melts in the spring, cover your patch with a row cover to start warming it up and giving the plants a head start on growth. Just remember that they might need to be watered as the water dose not get through the row cover a s easily as if there were no cover. You will be amazed at how much this helps them grow. 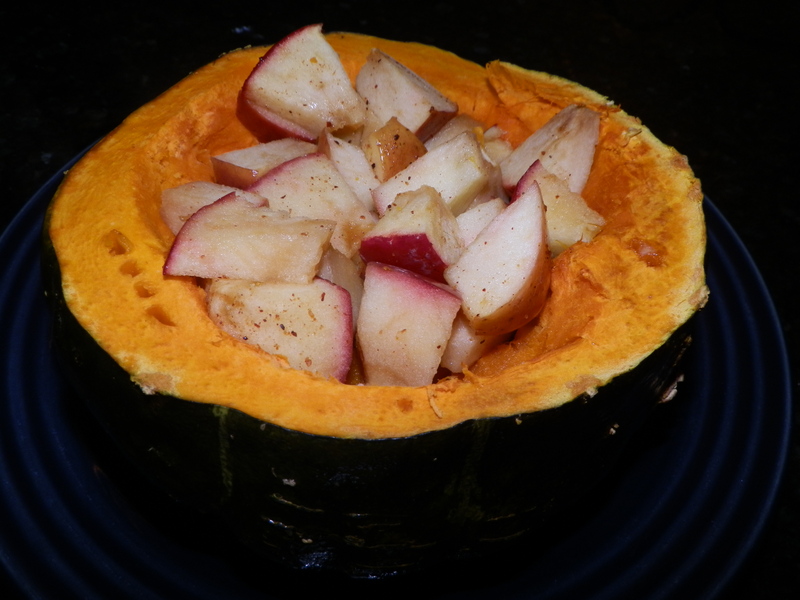 We have some Buttercup squash grown from our garden still, so I am always looking for new and interesting ways to prepare it for my family. I just love being able to feed my family food I have grown from my garden year round. It is easy to store winter squash during the winter and cuts down on the grocery bill all year-long! I liked this recipe, it just took a long time to cook, so take that into consideration when cooking it.